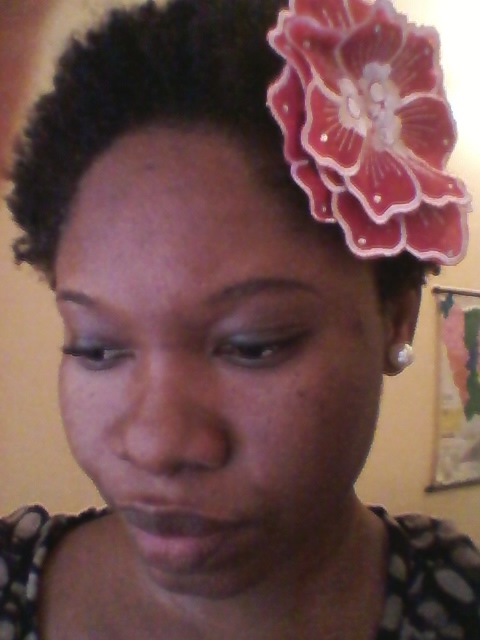 The ”fragility” of African hair debunked! Hi there lovely Hairess, hope you and your tresses are doing well, Hair “no name yet” here has been acting craaaazzzy i tell you, I think the reason is partly cause I’ve been too busy with other activities to pay due attention to her,plus the fact that she is quite stressed out from all that twisting and braiding of the past 3weeks really. So I’ve decided to let it be for a week which basically means no twistouts, braidouts , flat twists nothing , just a plain good ‘ol wash n go plus no combing for at least 2weeks! Now I’ve also managed to do some reading up these past week and have learnt a few things that i‘d love to discuss with you, Remember I was supposed to do an exposé on Good Healthy hair? Well, while researching on it i realised that i did not fully understand what my hair was made up of, so decided to take it a bit further, I came across some articles that gave me not only more information about my Hair but also spurred me to have a rethink on some African hair myths i’ ve been hearing about. Here is an excerpt that caught my attention..
‘’Hair is made of protein which originates in the hair follicle. As the cells mature, they fill up with a fibrous protein called keratin. These cells lose their nucleus and die as they travel up the hair follicle. Approximately 91 percent of the hair is protein made up of long chains of amino acids…this to me basically means hair is dead fibre. Now the earliest recordings of research on African hair care shows, a variety of methods for managing this hair were adopted. These documentations highlight the use of hot stones; potatoes; lard, and lye, up to modern day methods. But why is afro hair so fragile? Research shows that essentially while Caucasian, Asian, African hair have the same make-up, the structure of the proteins in black hair differ somewhat. Proteins are the building blocks of hair, providing rigidity, elasticity and strength. Together with water, these determine the overall mechanical properties. 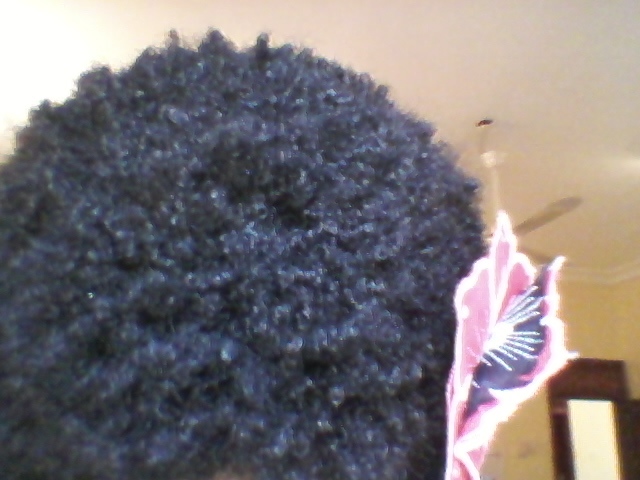 However, with afro there are three points worth bearing in mind’’. AfricanAmerican hair consists of a reduced percentage of cystine, a protein synonymous with the hair diseases where the hair is extremely fragile and frays. African hair proteins are also laid down in an irregular fashion. This occurs deep inside the follicle bulb within the scalp and also determines the tightness of the curl. The tighter the curl, the weaker the hair. In addition, this irregularity creates weak spots all along the shaft of the hair. African hair grows from ellipsoidal follicles as opposed to the oval shape of Caucasian/Asian hair. 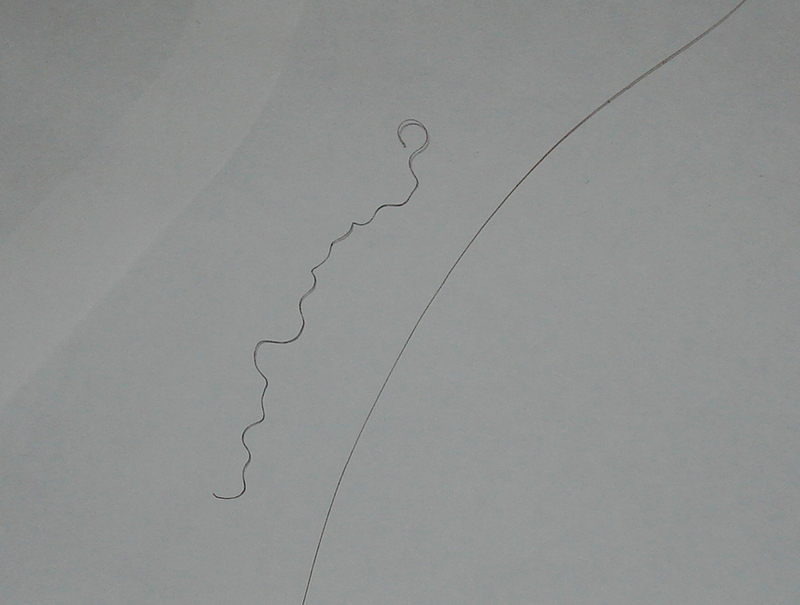 In essence this means that the stresses working over the hair also attribute to splitting.As you can see, Type 4B hair is designed primarily to grow outwards for protection, not downwards’’. Now this article was taken from: http://EzineArticles.com/4772004, and while I agree with most of the information therein, I would like to state my little observation on the much proffessed ”fragility” of African hair. First of all, ALL HAIR IS VERY FRAGILE, not just African hair, again this is just my opinion. Reason I say so is because hair structure is basically made up of the same thing ‘’protein and fibre’ ’the only reason African hair has suffered over the years and has been labelled fragile is because very little or no research has been carried out on its structure and development and care methods. It has been simply neglected or swept under the wigs and weaves for decades! You would notice that African hair is patterned in a zigzag or round curly fashion, while the Caucasians hair is patterned straight (except for the curly)…After learning this i slapped myself for the many times I let the hair dresser use that blue small toothed comb on my dry hair,all the while saying ” sorry oh” as I clench my teeth in exasperation…looking at it now the pain was so unnecessary. Mis- information and mis- education of our African hair grooming methods has contributed to the wide spread notion that African hair is the most fragile of all the hair types, it isn’t its just different and should be handled thus. You’ll agree with me, we are what we eat, which means everything that goes into our mouth will be seen on our bodies, same with our hair. Here in the tropics, our local food is more of carbohydrates than anything else, and this has been going on for years from generation to generation, it’s even become genetic, thus having a huge impact on our hair texture and pattern. Our diet, even the way our bodies converts and processes the food we eat has a huge role to play in hair formulation and texture. It is also true that African hair has been patterned by nature to serve as a protective shield from the harsh sun, hence it’s zigzagly or coily pattern. One cannot shy away from that fact, however, I did noticed that our hair growth and pattern does vary according to location, You see, up north, especially Maiduguri, is where we have the ladies with the longest of hair that any other parts of Nigeria, long, soft, sometimes wavy and luxuriant hair, despite the use of relaxers…While down south (which is where I’m from by the way) our hair has this redish colour and rarely grows long one can easily see the disparity, my mom use to always complain when we visit the village of how dirty/dead looking the colour of the villagers hair was. Now if you belong to this group of people, with good genes as a result of years of good diet plus condusive environment, good for you, but if you belong to the group whose hair hardly grows blow the shoulder level do not be discouraged there is hope, Long lustrous or thick hair can be achieved through the adjustments of our diets to accommodate more fruits and vegetables, protection of our strands by maintaining a good hair care routine like ( fingercombing & fingerdetangling, Conditioning & moisturising) and drinking lots of water. Avoid putting chemicals in your hair at all cost. 2)Proper grooming and maintenance is the key to hair growth. 3)Good / balanced diet is important in growing long and healthy natural hair. 4)Protection of our strands is relevant for lenght retention. Hope to expatiate on this topic as we go along, l do look forward to reading your opinion on this as well. Do have a lovely week! Hellooo lovely hairesses, sorry l’ve been silent on you guyz, this chica here has been feeling too lazy to blog, i know, am ashamed of myself. In my own defence;i do have a big project in the works,i felt the time was ripe for me to get more specific with my posts as oppose to just random gisting, reason its taking a while to make that post i talked about. Information gathering / experimental research is no joke i tell ya, its time consuming, so i ve resolved to make it easy, two detailed posts a month on a specific hair subject, including random posts about my daily ”hairtivities” and lifestyle how about that huh? Now a quick run down of what me and hair has been up to. For some weeks now i ve been suffering from ”oil blocking my pores disease” dunno what that is but its been really terrible, my pores got enlarged and began producing more sebum than i could control,during this time, i tried everything from regular face steaming, scrubbing, to oil cleansing( which i have been experimenting for more than 6 months now) but my face just would not stop producing extra oil(sebum) and my pores became very visible, especially around my cheeks and chin areas..it looked hoooorrible. l’ve always had an oily face, its the one thing that got me interested in skin and facial care, in short the whole beauty thing, the only time i discovered that my face isn’t too oily is when i use a lightnening agent, then my large looking pores seems smaller and barely noticeable, the moment i stop using a lightener it starts producing oil again which is very frustrating, when it gets like this friends, its all i can think about, what can i do? 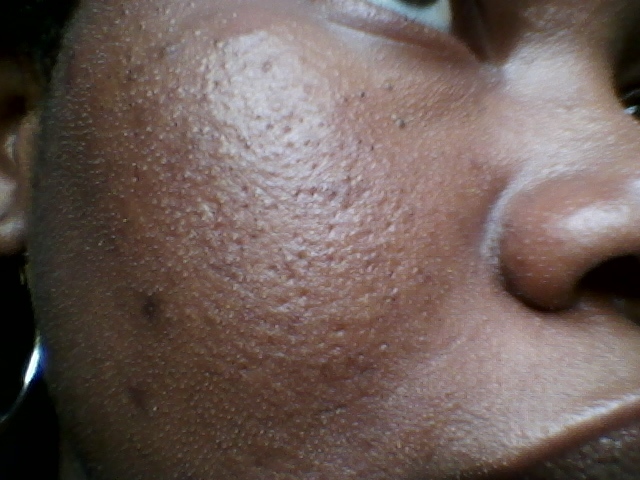 i d rather have a dry face with smoother skin than this oily face! take a look at the photo below. Needless to say i’ve gained some sort of control over the situation (Major prob huh?) by using a 3 step facial cleansing method i got from my search with the help of the glorious internet; Cleansing, Exfoliating and Moisturising.i also realise that i was paying it(my face) too much attention and decided to do a once all deep facial clay cleanse, exfoliate with olive oil and brown sugar scrub( home-made),olive oil because i was out of honey and finished of with an eggwhite and lemon mask solution ( home-made as well), egg white to heal skin due to the bruises it had gotten from my constant squeezing, and lemon because its a natural Skin Lightener. 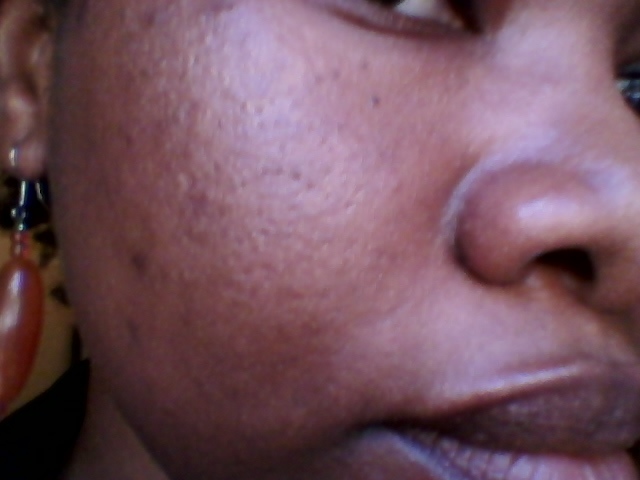 here’s how it looks after the facial treatment.. Meanwhile Miss fussy (me) was too busy paying attention to her scrawny face, that she totally abandoned her hair,yeah i left my hair in wash n gos for most part of the two weeks which was ok, but the downside is that by the end of both weeks, My hair was all tangled and knotted up that i had such a hard time on wash day ..made me realise that the longer my hair grows the more attention and care it needs. i promise to do that for the reminder of the hair’s life.lol.